Sept. 5, 2018 — Ten-term Massachusetts Rep. Mike Capuano (D-Somerville) was unseated last night as at-large Boston City Councilwoman Ayanna Pressley scored a major 59-41 percent victory in the 7th District Democratic primary. The challenger victory means that a total of four US House incumbents to date, two Democrats and two Republicans, have been denied re-nomination. The other three are Reps. Joe Crowley (D-NY), Bob Pittenger (R-NC), and Mark Sanford (R-SC). 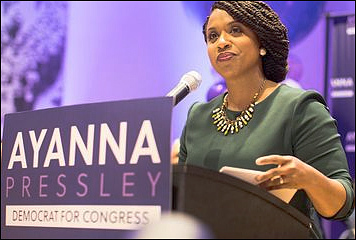 The 7th District is Massachusetts’ only majority minority district and Pressley, who is African American, successfully coalesced the minority communities behind her campaign. She was quoted last night as saying that while the situation is different than in New York where Alexandra Ocasio-Cortez defeated Rep. Crowley, the energy and momentum behind her own campaign greatly increased after the New York result became a national story. Pressley demonstrated her ability in uniting minority voters, particularly in Boston where she is a known entity, despite the community leadership largely backing Rep. Capuano. Boston Mayor Marty Walsh, former Gov. Deval Patrick, the Congressional Black Caucus, and most labor unions all supported Rep. Capuano. Polling never projected Rep. Capuano gaining majority support, but it also failed to foretell him losing and by such a decisive margin. Rep. Capuano was anything but a complacent incumbent. 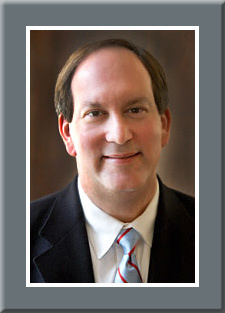 He spent well over $2 million in the primary campaign and was very active throughout the district. In comparison, Pressley raised just under $900,000 through the Aug. 15 pre-primary financial disclosure report, and would likely spend just over $1 million, or about half the amount the incumbent possessed. In other races, Gov. Charlie Baker won his Republican primary with 64 percent of the vote, a bit under projections especially for a state chief executive who holds such strong approval ratings. This is explained because he has made many compromises as a Republican governor in dealing with an overwhelmingly Democratic state legislature, and that doesn’t always sit well with the strong Republican base voter. Gov. Baker will now face former state Finance Secretary Jay Gonzalez who easily won the Democratic primary last night. Gov. Baker is a heavy favorite for re-election in spite of Massachusetts being one of the most Democratic of states. Turning to the Senate race, state Rep. Geoff Diehl (R-Plymouth) turned back two well-funded Republican challengers, businessman John Kingston and former Department of Consumer Affairs director Beth Lindstrom. Diehl won a clear 55-27-18 percent victory over his two GOP rivals. He now opposes first-term incumbent Sen. Elizabeth Warren (D), where he begins the general election campaign as a decided underdog. He may, however, be in good position to raise significant national money because he is running against a national candidate. In retiring Rep. Niki Tsongas’ (D-Lowell) open 3rd Congressional District, 10 Democratic candidates have been scrambling for the better part of a year to win the party nomination in order to succeed the six-term congresswoman. Different results are being reported, so it is unclear as to who will actually win this contest. Politico finds former Boston mayoral chief of staff Dan Koh, who raised more than $3 million for his campaign, leading with a 644-vote edge (21.7 percent) against former congressional chief of staff and businesswoman Lori Trahan (20.9 percent). But, the local Lowell Sun newspaper, which endorsed Trahan, is reporting early this morning that she has taken a 223-vote lead with over 97 percent counted, and that she is declaring victory. The Lawrence Eagle Tribune, which also endorsed Trahan, suggests the difference between the two candidates is only about 60 votes. Therefore, it will be hours from now, or later into this week, until the actual winner is determined. In any event, state Rep. Juana Matias (D-Lawrence) was third, followed by former US Ambassador Rufus Gifford, while state Sen. Barbara L’Italien (D-Andover) finished fourth. The remaining five candidates all posted well under 10 percent support. The eventual winner advances to counter business owner Rick Green who was unopposed for the Republican nomination. In a district that Gov. Baker must win big in order to meet his statewide victory vote goals, this congressional race has some potential of becoming competitive. Elsewhere, Rep. Richard Neal (D-Springfield) easily defeated Muslim activist Tahirah Amatul-Wadud with just over 70 percent of the vote. Reps. Stephen Lynch (D-South Boston) and Bill Keating (D-Bourne/Cape Cod) were both easily re-nominated against minimal opponents. Keating, however, could soon find himself in a competitive race with former chain convenience store owner Peter Tedeschi, the new Republican nominee. Rep. Keating was only re-elected with 52 percent of the vote in 2016 against an opponent who spent less than $260,000.